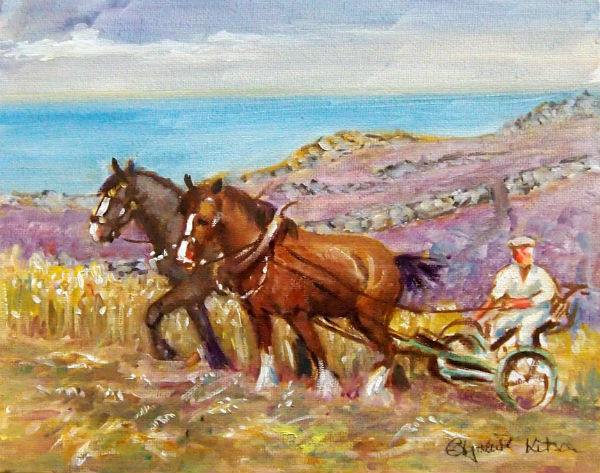 Elizabeth Kitson DL, SEA, AFAS painter in oils, watercolours and pastels of people, animals, landscapes seascapes and flowers. She is especially interested in movement and light. She also does sculptures, which are cast in bronze. Her many commissions include Britannia, Titanic, racehorses, portraits and battle scenes. Working largely on commission, she exhibits in London and elsewhere and her paintings are held in private collections in many countries. Elizabeth was the founder of the Army Families Federation and the Army Arts Society as well as being a member of the Armed Forces Art Society.